Natural Flavor, Citric Acid, Malic Acid, Sucralose, Maltodextrin, Acesulfame-K, Silicon Dioxide, FD&C Red#40 and Yellow#5. Natural Flavor, Citric Acid, Malic Acid, Sucralose, Maltodextrin, Acesulfame-K, Silicon Dioxide, FD&C Yellow #5 and Blue #1. Natural Flavor, Citric Acid, Malic Acid, Sucralose, Maltodextrin, Acesulfame-K, Silicon Dioxide, FD&C Red#40. 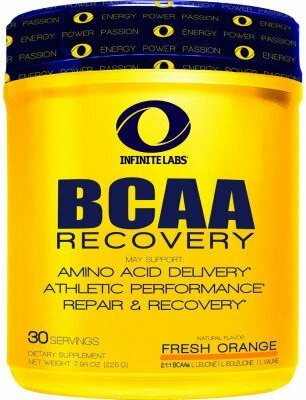 Any athlete from any skill level can experience the recovery support benefits of BCAA Recovery. Did we mention it also tastes amazing? No need to worry about choking down yet another sports drink. Now you can enjoy repair, recovery and performance support.